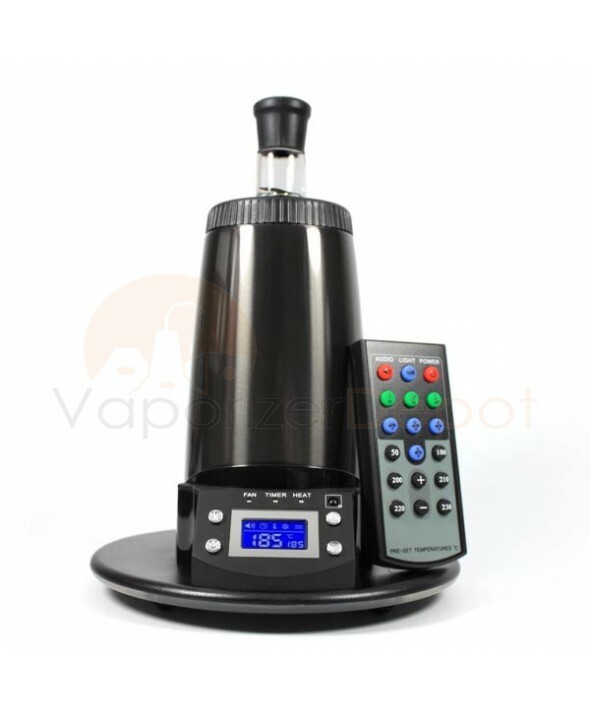 Arizer's classic desktop vaporizer, the Extreme Q Vaporizer is far and away the most user-friendly forced-air vaporizer on the market. 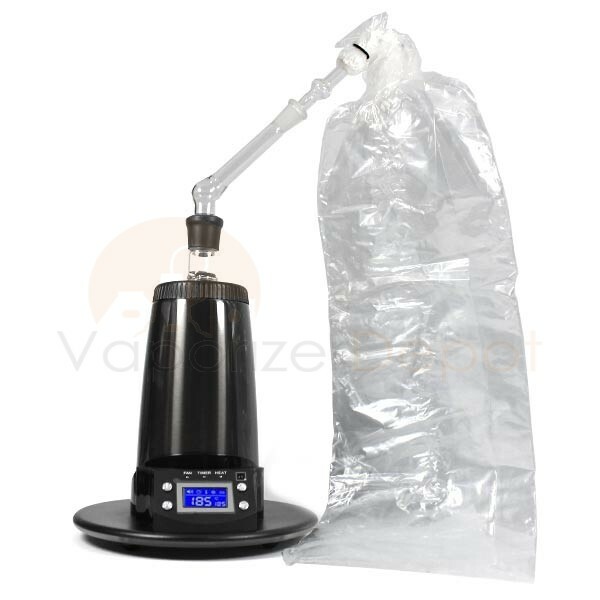 With the Q, Vapor enthusiasts have the option of enjoying thick, tasty vapor through a whip attachment or a balloon bag. 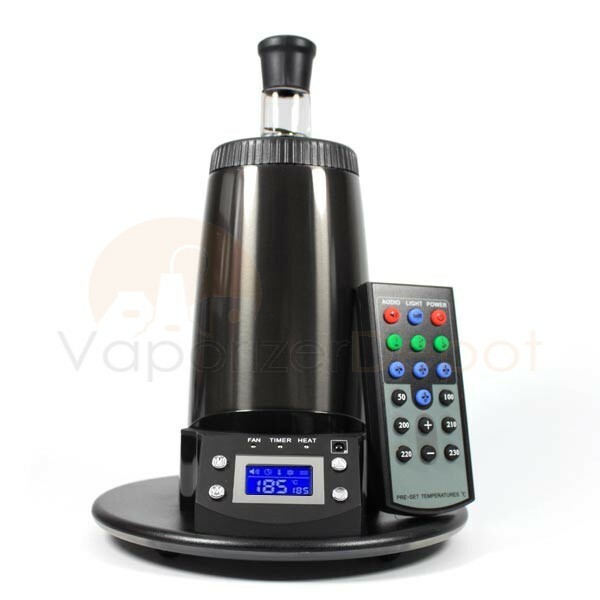 What's more, the Extreme Q's digital temperature system is remote control activated and features smart automation for temperature and fan speed, with 3 different levels so the user can regulate the amount of vapor produced. The Extreme Q also features an automatic shut-down function. 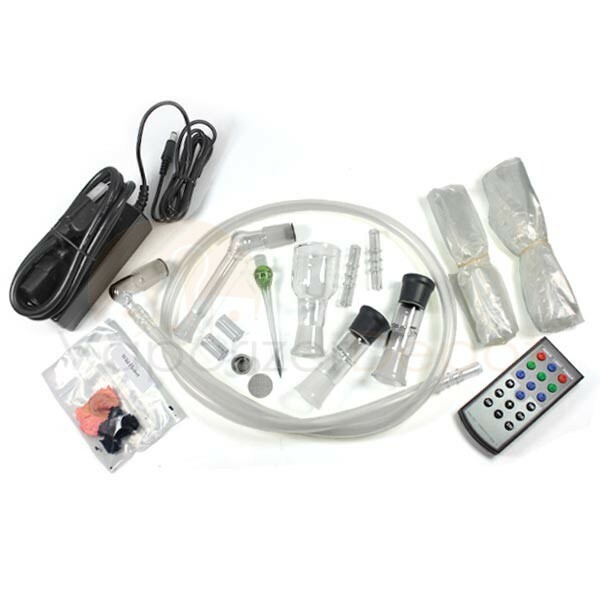 This versatility allows for the popular forced-air unit to function as an aromatherapy device and oil diffuser. 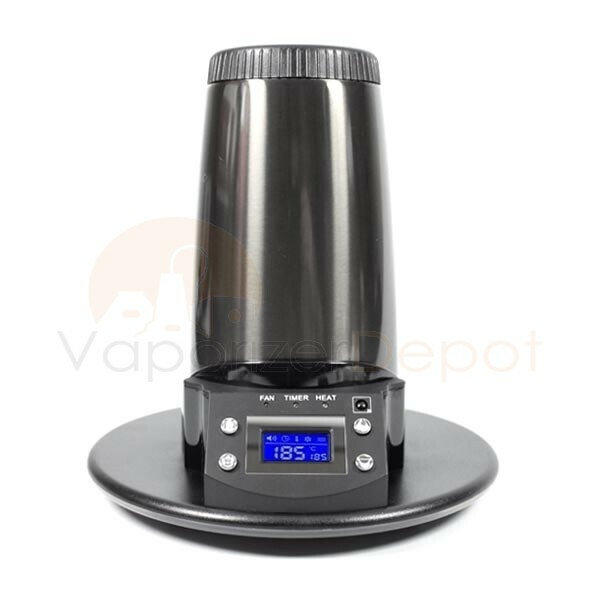 The most recent iteration, the Extreme Q 4.0, uses premium glass implements and an insulated double-walled housing unit made of stainless steel which delivers delicious, inert and additive-free vapor. 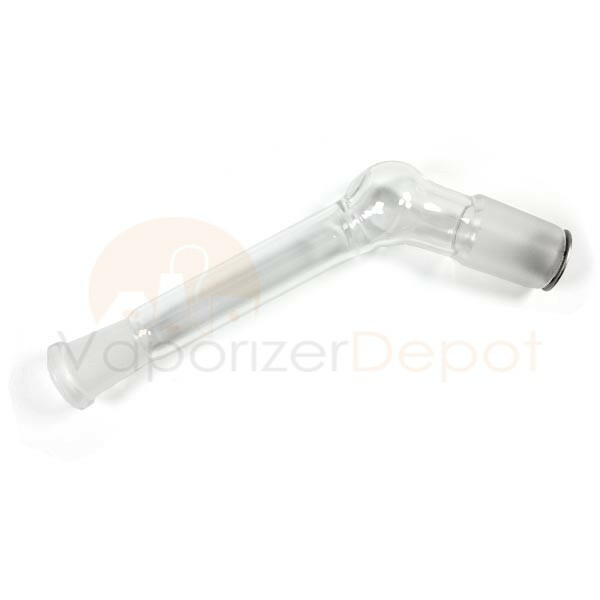 The defining feature of the Extreme Q is the Cyclone Bowl, which stands prominently and vertically, directing air upward and distributing it efficiently for maximum potency. When you set your temperatures, the values are displayed on a vibrant LCD screen and the internal element is a superior heating unit that negates any worry about harmful toxins entering your lungs. This heating element routinely reaches vaporizing temperature in under 2 minutes and displays precise temperatures with three sensors to gauge the heat level. Each unit is manufactured in Canada and comes backed by Arizer's Lifetime Warranty, covering all defects that may impact the heating element. Users can set the auto-shut-off timer to cease operation after 2 or 4 hours. The newest redesign of the Extreme Q touts a sleeker, more compact design with chrome finish, as well as a whisper-quiet fan. Moreover, this unit is 50% more energy efficient than its predecessor, so users are not only saving their lungs; they are being kind to Mother Nature! I couldn't find this for a lower price anywhere but those shady ebay type of sites. I buy all my products here. They still honor the warranty, too! My fiance bought my an Extreme Q for my birthday and it works awesome! I love having the option to use the whip if it's just him and I vaping and having the ability to use the balloon bag when we have friends over. I definitely recommend this to anyone who doesn't want to waste time with cheap china junk like I did when I first started vaping. Maybe I'm biased because my family is from Canada just like Arizer, but this thing is made excellently! Go Canada! I've had this unit for about 3 months and it works excellently. The balloon bag works well, but I prefer the whip because of the better taste. I have to run the temperature a little high around 420, ironically, because the fan cools the unit.